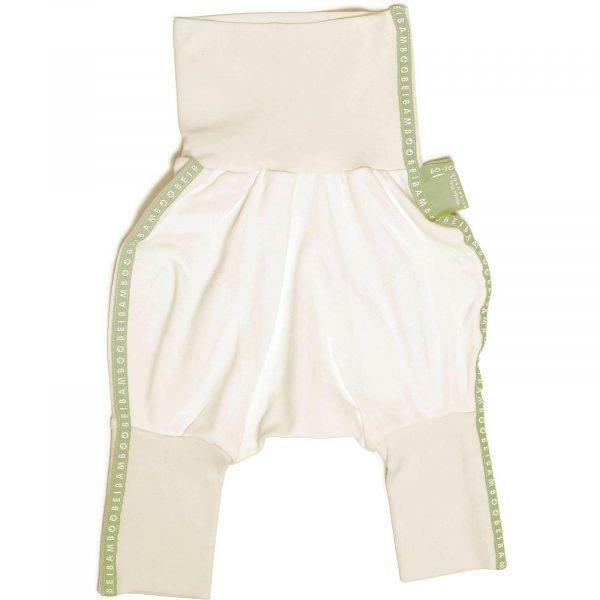 These soft ecological organic baby trousers have a generous cut, and is perfect for all kinds of nappies. All the labels are on the outside of the garment, and the trousers have no leg inseams. 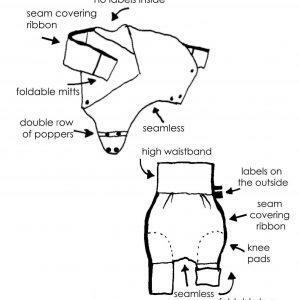 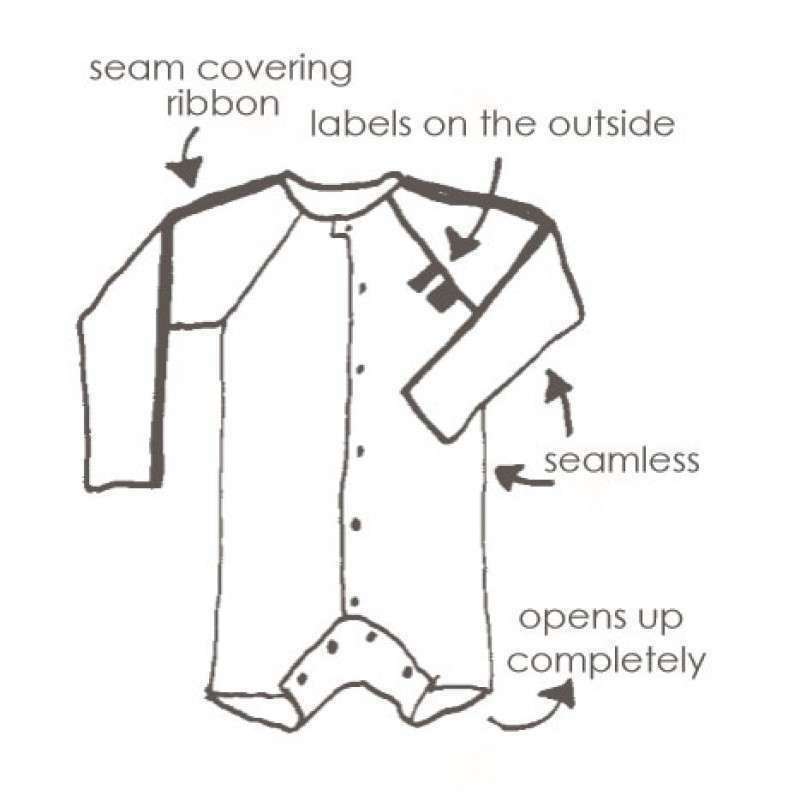 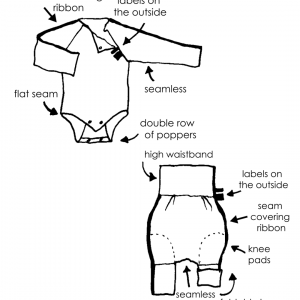 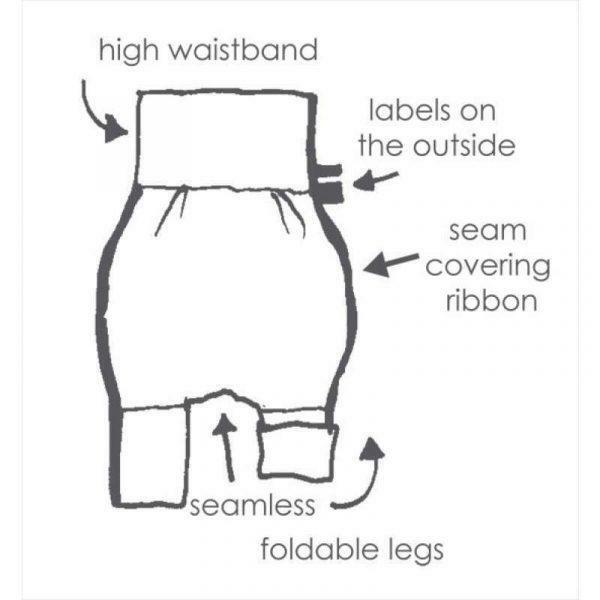 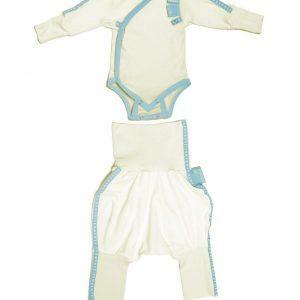 Additionally, foldable trouser legs and a high foldable waistband allows for size adjustment as your baby grows. 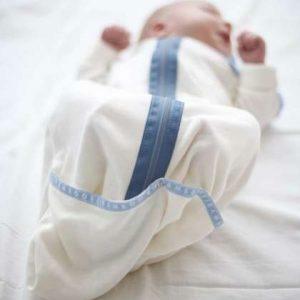 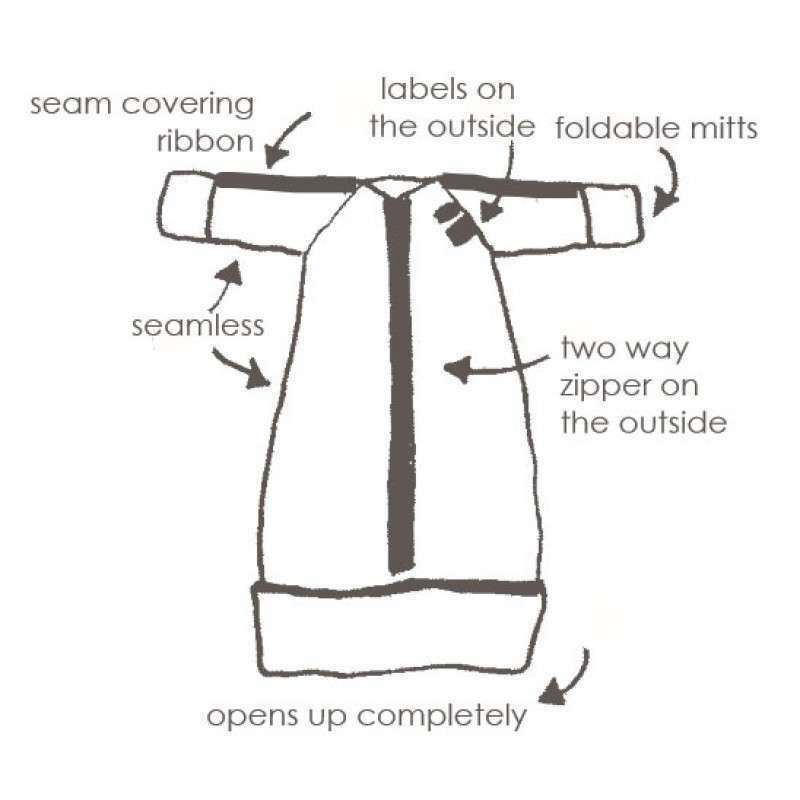 The seam on the waistband is on the side and not on the back, so that your baby is comfortable also when lying on her back.